The final climbs of Stage five of the Paris-Nice stage race finished in the scenic hills near St. Etienne, and my friend Philippe invited me to come ride in his backyard. My first ride of the year without snow: wow, heat wave. Philippe’s bike seemed fully loaded. Could there be beer for lunch? 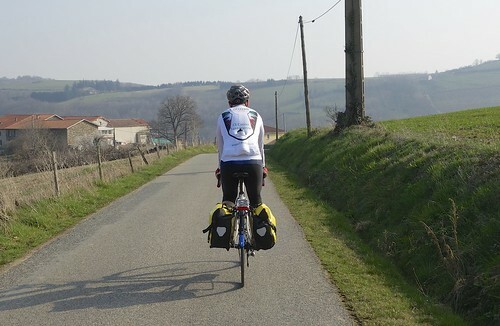 French lesson: those are not panniers. Use “sacoche” or be ridiculed. 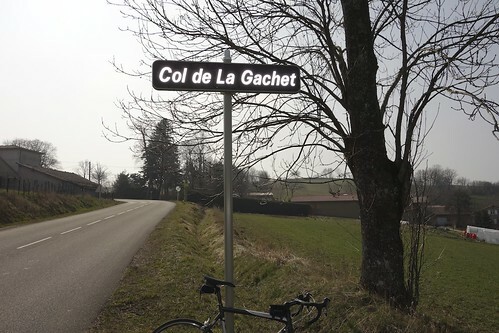 The plan was to watch near St. Catherine with the last two categorised climbs ending in the area. 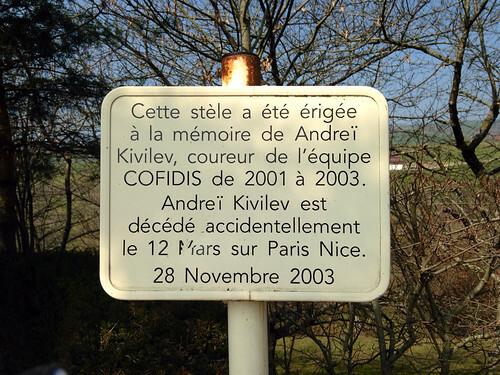 On the way, we climbed Col de la Gachet to visit the Andreï Kivilev monument. 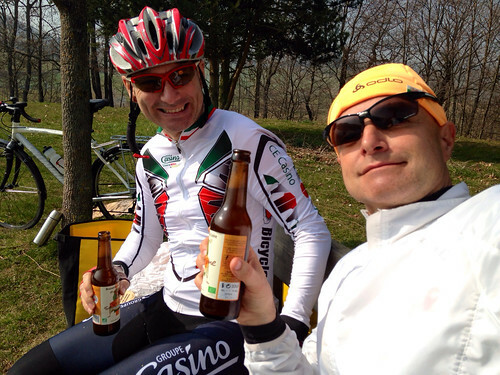 Kivilev tragically died during Paris-Nice in 2003 near here. His death was the trigger for the UCI making helmets compulsory. 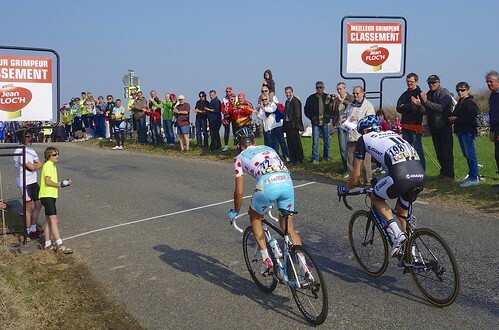 As a junior Kivilev had ridden for EC St. Etienne – he was thus in some ways a local boy. Very sad. 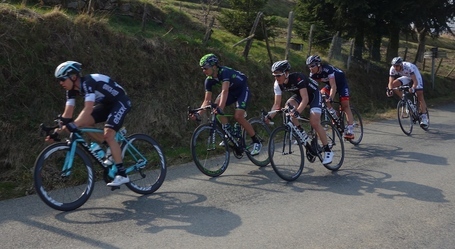 The stage route had a loop near the end that would allow us to see the peloton pass twice. We were slightly disorganised after a leisurely lunch and couldn’t figure out where the KOM line was for the first pass. 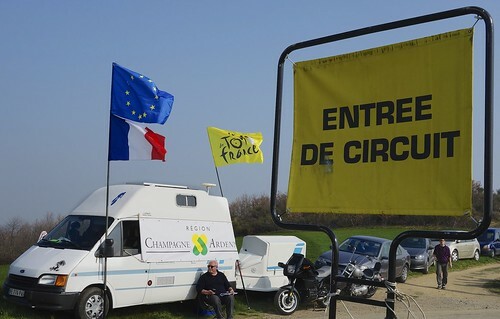 Gendarmes told us to get off our bikes so we waited on the edge of St. Catherine and soon the riders came flying buy. 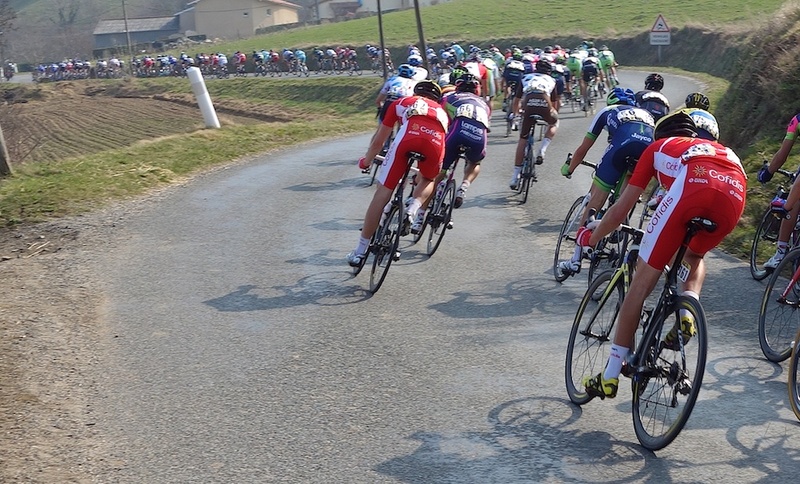 While the peloton was tightly packed the first time they passed us, things obviously exploded on the last ascent and riders where all over the place. I had “focus” issues as the leaders flew by so I won’t bore you with fuzzy shots of Chava gasping, and Betancur flying. 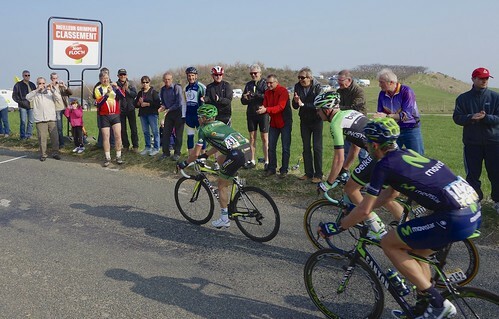 Well back of the leaders, we heard cheers and then saw Thomas Voeckler puffed up and ensuring he was first in a small group at the summit. Love that guy! As usual when watching a race, we had no clue who won, or what was really going on. But we had a lot of fun. Oh, and in case you were wondering, the sacoche was indeed filled with Beer. Tchin, tchin, et merci beaucoup Philippe.